The study places the work of a major religious poet of the late twentieth century in a number of striking new perspectives that allow him to be viewed for the first time as an 'alternative' war poet, a conscience-stricken pacifist, a jealously opportunistic student of art, and an experimental biographer of the modern soul. Published to mark the centenary of the 'ogre of Wales', this volume deals… with the idees fixes that serially possessed the fiercely intense imagination of R. S. Thomas: Iago Prytherch, Wales, his family and, of course, a vexingly elusive deity. 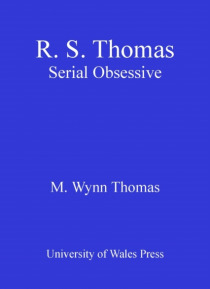 Here, these familiar obsessions are set in several unusual contexts that bring Thomas's poetry into startling new relief. The war poetry is considered alongside the poet's early relationship to the English topographical tradition; comparisons with Borges and Levertov underline the international dimensions of the poetry's concerns; the intriguing 'secret code' of some of Thomas's Welsh-language references is cracked; and his painting-poems (including several hitherto unpublished) are brought centre-stage from the peripheries to which they have been routinely relegated.